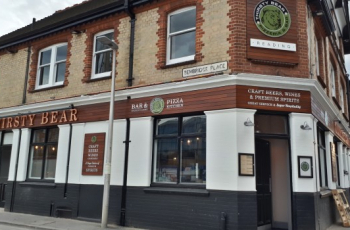 Pizzeria and bar located along King's Road. Freshly made Pizza using a secret pizza dough recipe.Toppings include home-made tomato sauce, seasoned with fresh herbs and spices and packed with flavour; 60-day aged mozzarella, harvested daily from an award-winning farm in Caserta, Italy, and the finest seasonal toppings. Great venue with a bar and roof top garden to relax from all the hustle & bustle while sipping on an ice cold drink & pizza!